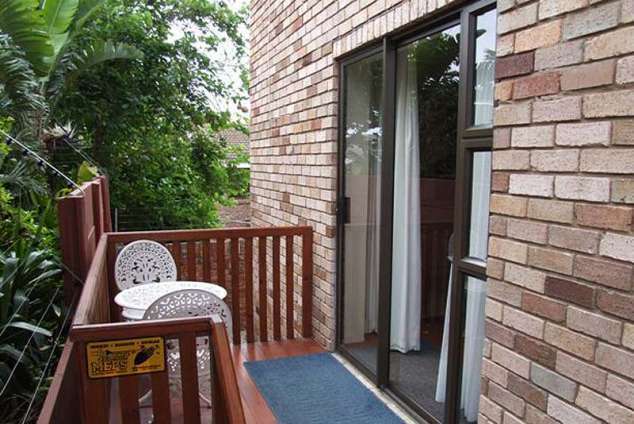 Bluewater Beachfront Self Catering - Bluewater Bay Accommodation. Bluewater Beachfront Self-Catering Units is a 4-star facility on the beachfront,Bluewater Bay. We are about 13km from the city centre, right on the beachfront with lovely sea views from the 2 bedroom self-catering unit. Close to the Swartkops river mouth and the N2 highway, 0,8km from the shopping centre at Bluewater Bay and 30 min drive from the Eastern Cape game attractions; Shamwari, Seaview Lion Park and the Addo Elephant Park. The 2 bedroom flat can sleep 6 persons with extra sleeper couch in lounge. Safe parking. The bachelor unit, with it's own private entrance, sleeps 2. Come and enjoy the warmer water at Bluewater Bay. Ideal area for fishing, boating, sunbathing and long beach walks, a place where you still can enjoy the quietness of life without being disturbed. 47534 page views since 04 Aug, 2005.